April 15th, 2017—One hundred and five years after the RMS Titanic sank into the North Atlantic, it was the integrity of our democratic republic that took on water. While the streets of Northern California are not lined with icebergs, the story reported over the weekend shared one of their fundamental qualities. The majority of what threatens the future of our nation took place beneath the surface of mainstream media pools. 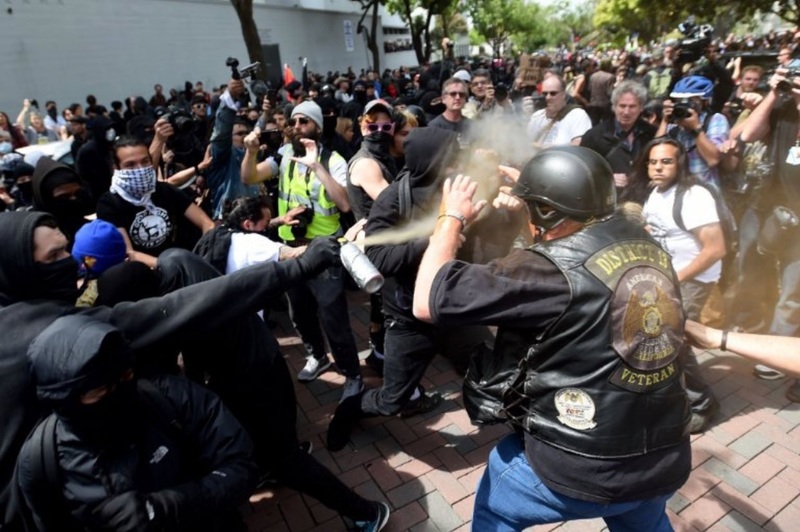 The scene in Berkeley, California, was widely covered. Groups of anti-Trump protesters marched on Tax Day in an effort to influence the President to release his tax returns. 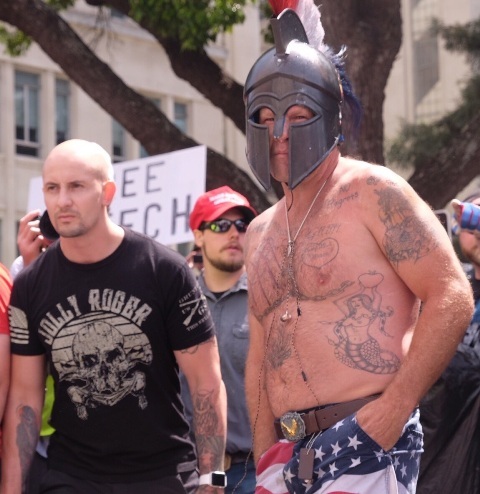 Pro-Trump supporters hosting a “Patriots Day” march clashed with their counterparts outside Martin Luther King, Jr. Civic Park. Violence ensued. Police watched from a distance before making arrests and confiscating weapons. Most media outlets have simplified the story as one between the Anti-Trumpers and the Pro-Trumpers. While the catalyst combs a golden coif, the cancer that could kill this country was inherited generations ago. Make no mistake: this was an ideological battle staged between the far-right and the far-left. Or more specifically, that of anti-fascists versus white nationalists. 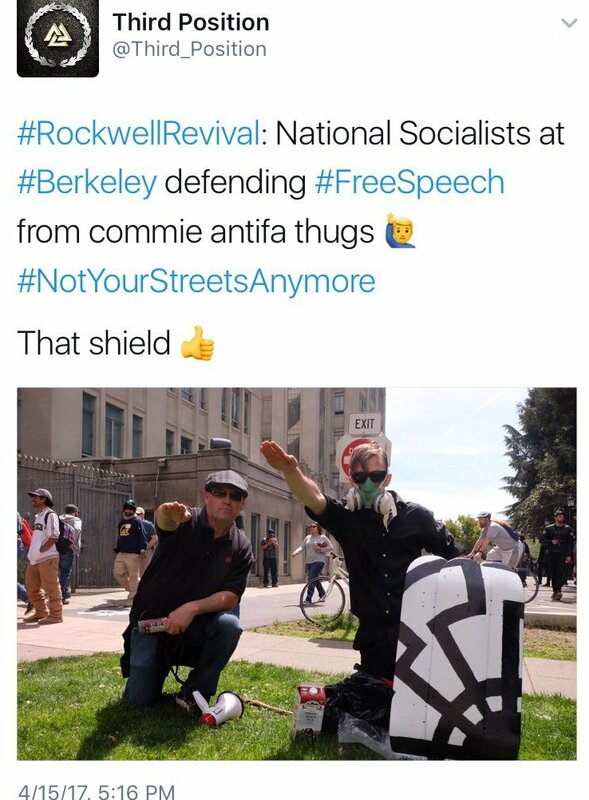 Demonstrators donning Make America Great Again caps performed Nazi salutes. Anti-Semitic standards waved as war flags. Dozens of banners painted with symbols of the alt-right were proudly paraded. And in case the subtlety of throwing bagels at anti-protesters missed its mark, recruitment fliers were passed out preaching the notion that America belongs to the white race. Their outnumbered counterparts came dressed in black. 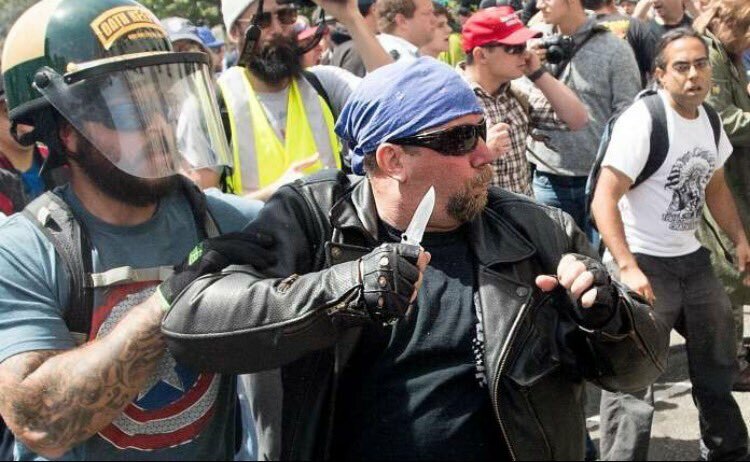 And if the video footage is to be believed, the black-clad Anti-fascists did not win the day. Let it be said that the majority of Trump supporters do not sympathize with such hate-mongering. The bigger concern should be that the bloodshed was not spontaneous; it was premeditated. Two groups of people came together with the sole intention of harming the other over ideological differences. Combatants brandished shields and helmets, sticks and knives. Peaceful protest was eschewed for Medieval Times. Our nation was built on the bedrock of free speech. However, the moment we ignore laws meant to protect fellow Americans in defense of free speech, we have started down a slippery slope. Similar conflicts have sprung up in the past month in towns like Salem and Huntington Beach. Taken together these represent the first stones cast under the shroud of political protest. There will be more. As Mark Twain reminds us, “History does not repeat itself, but it often rhymes.” Martin Luther King, Jr. Civic Park set the stage for the bloodiest clash thus far. Irony will be our only reprieve if we are not vigilant in preventing future spectacles. Our common enemy lies not in the far-left or the far-right. It is born out of violent, organized civil unrest.